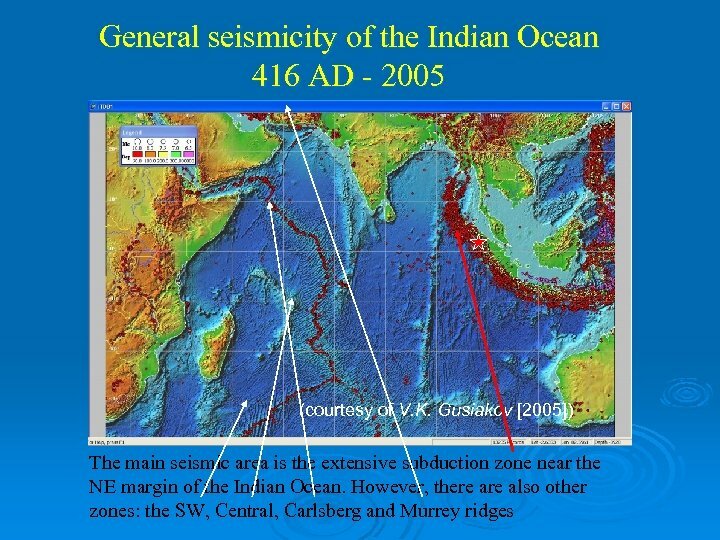 As a result of the Sumatra. 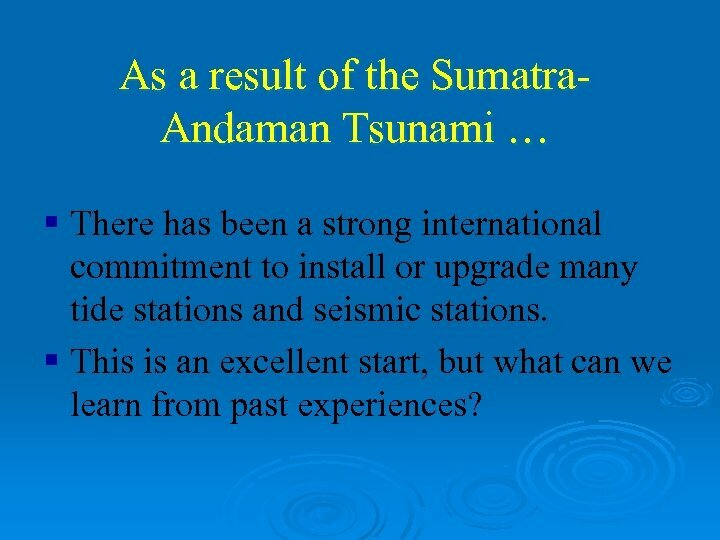 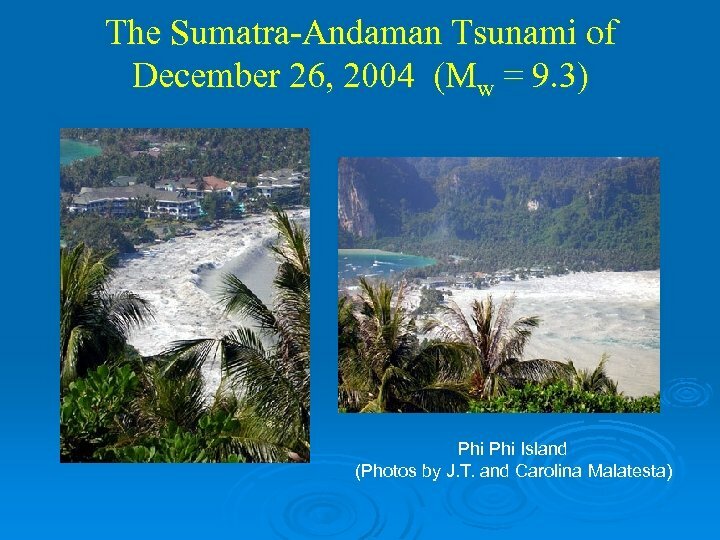 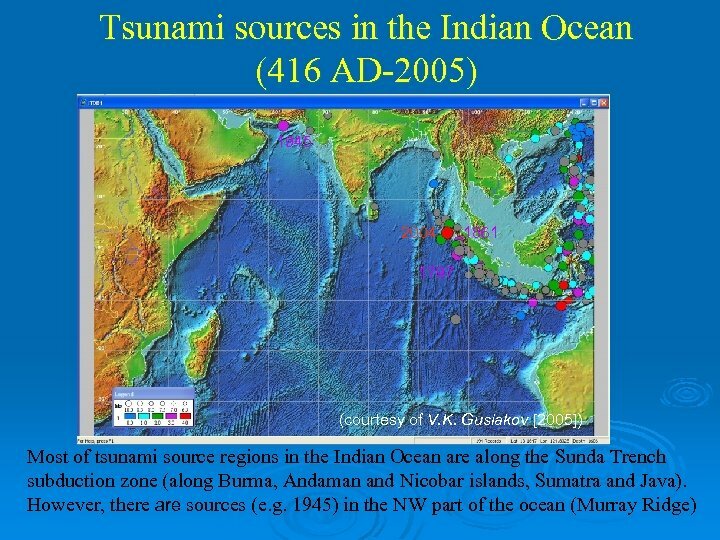 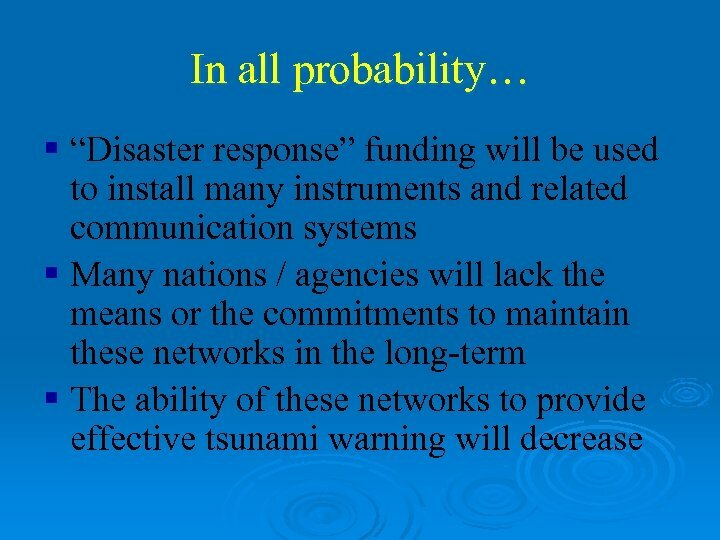 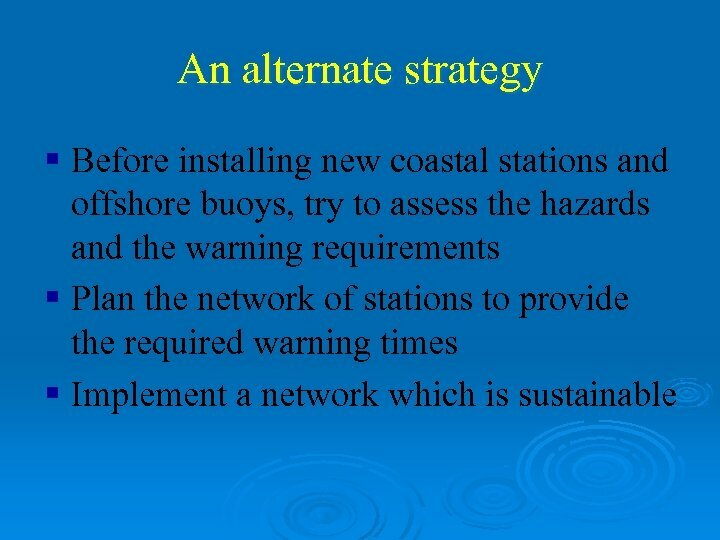 Andaman Tsunami … § There has been a strong international commitment to install or upgrade many tide stations and seismic stations. 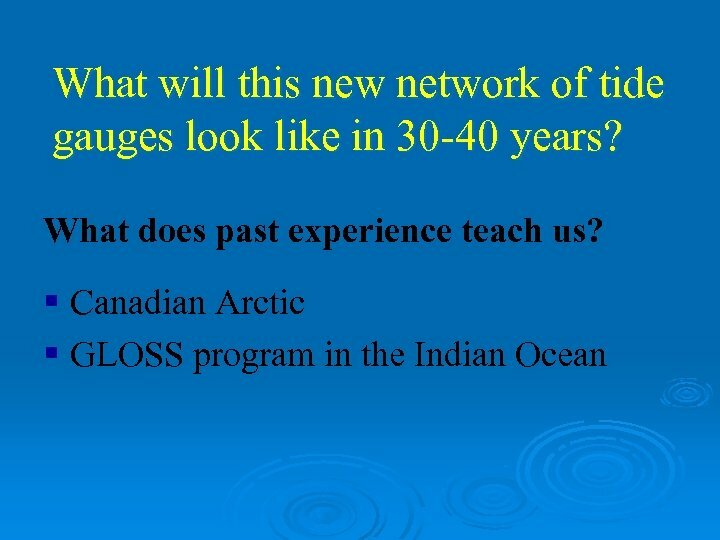 § This is an excellent start, but what can we learn from past experiences? 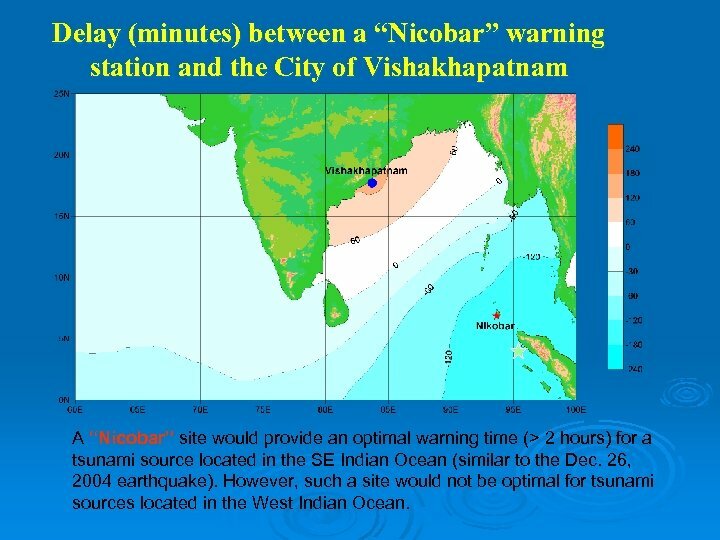 Delay (minutes) between a “Nicobar” warning station and the City of Vishakhapatnam A “Nicobar” site would provide an optimal warning time (> 2 hours) for a tsunami source located in the SE Indian Ocean (similar to the Dec. 26, 2004 earthquake). 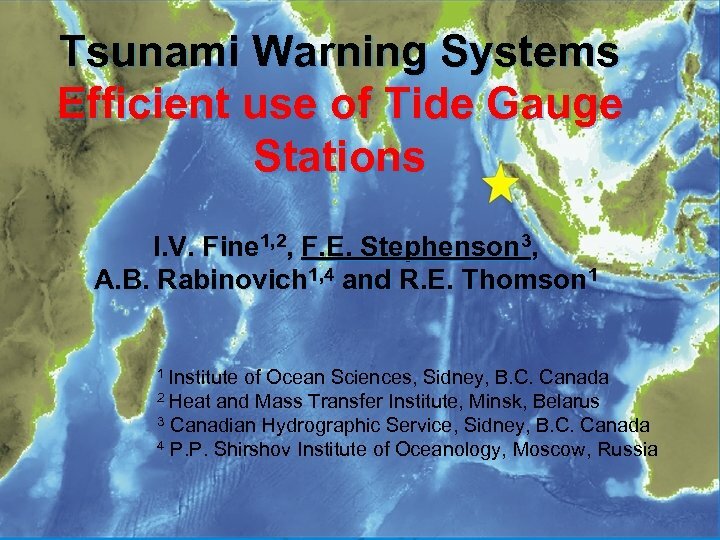 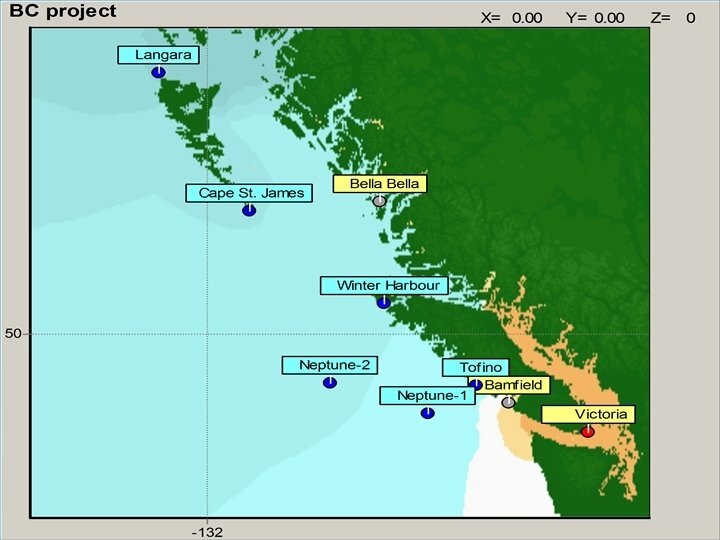 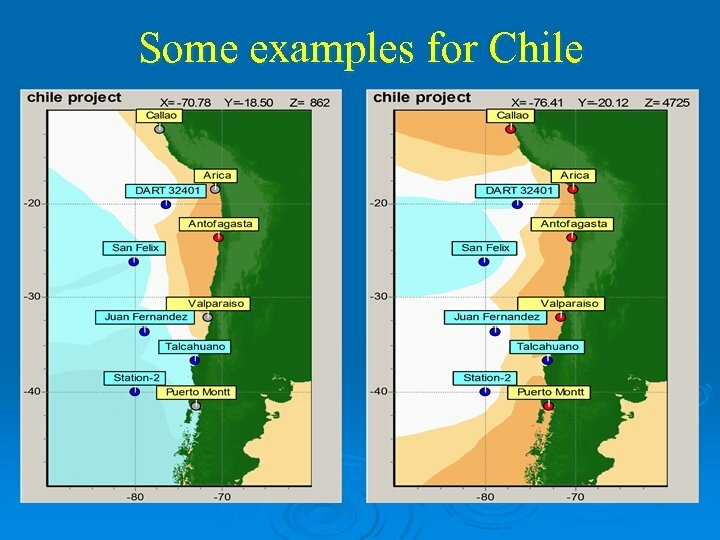 However, such a site would not be optimal for tsunami sources located in the West Indian Ocean. 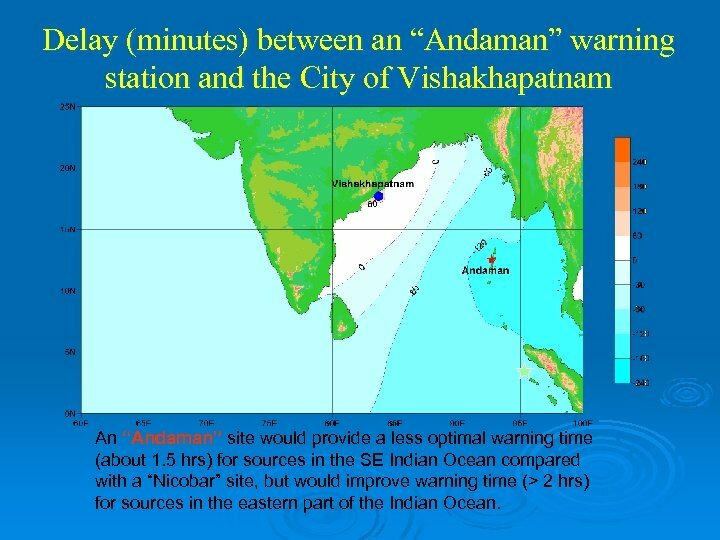 Delay (minutes) between an “Andaman” warning station and the City of Vishakhapatnam An “Andaman” site would provide a less optimal warning time (about 1. 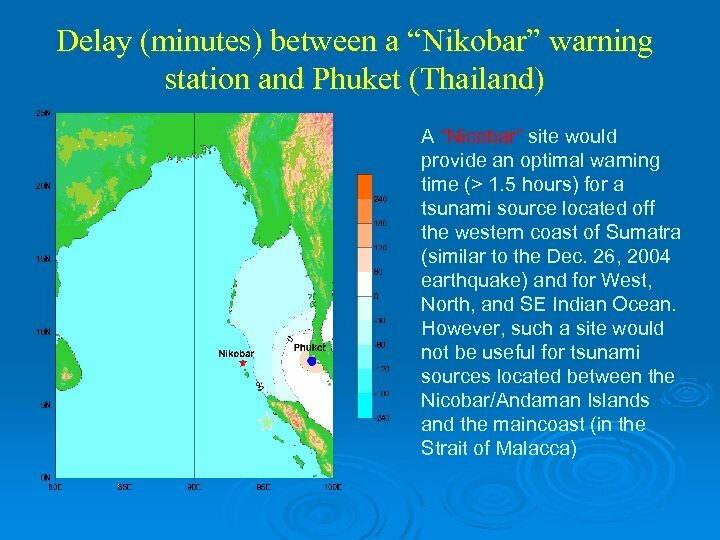 5 hrs) for sources in the SE Indian Ocean compared with a “Nicobar” site, but would improve warning time (> 2 hrs) for sources in the eastern part of the Indian Ocean. 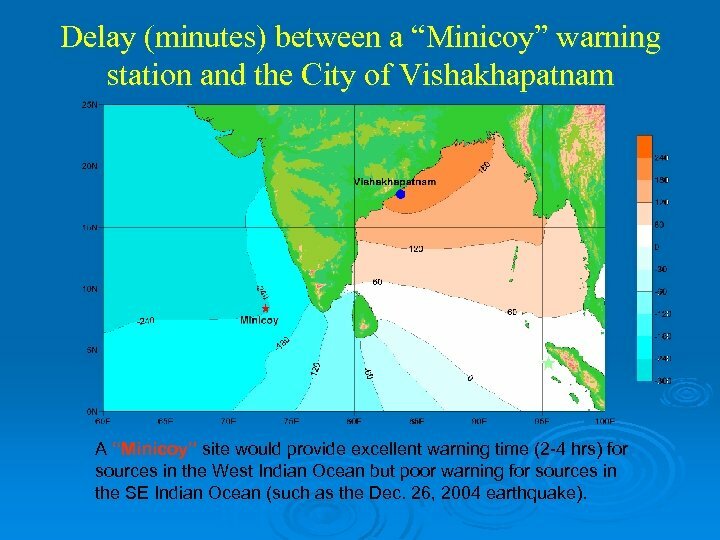 Delay (minutes) between a “Minicoy” warning station and the City of Vishakhapatnam A “Minicoy” site would provide excellent warning time (2 -4 hrs) for sources in the West Indian Ocean but poor warning for sources in the SE Indian Ocean (such as the Dec. 26, 2004 earthquake). 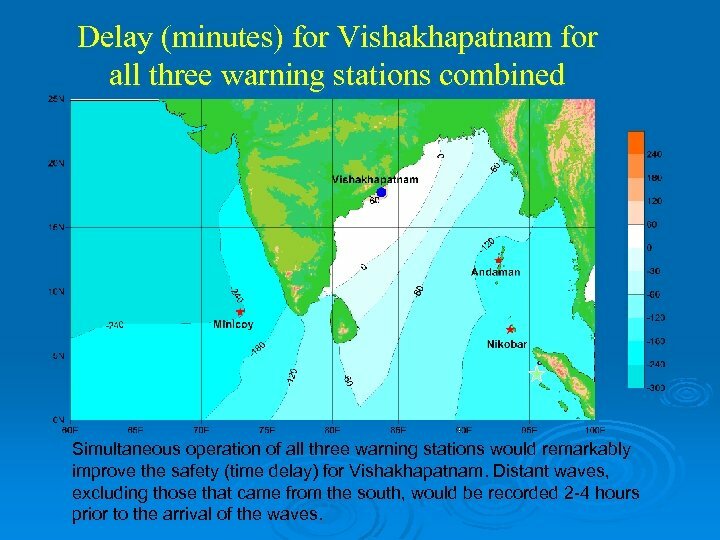 Delay (minutes) for Vishakhapatnam for all three warning stations combined Simultaneous operation of all three warning stations would remarkably improve the safety (time delay) for Vishakhapatnam. 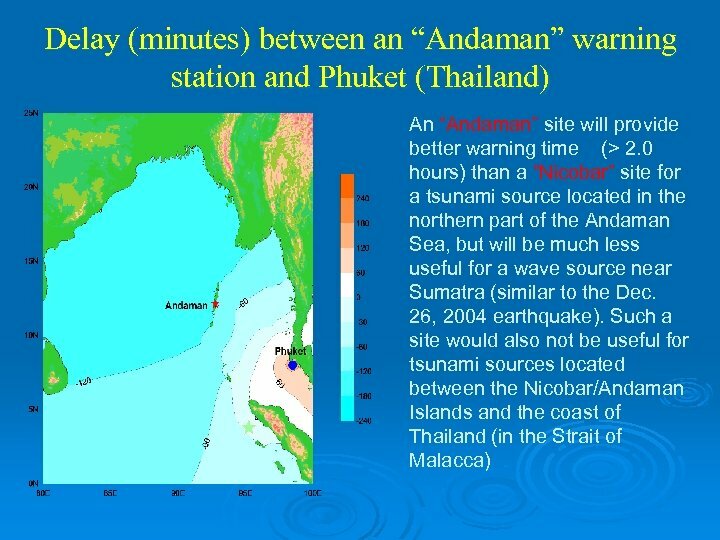 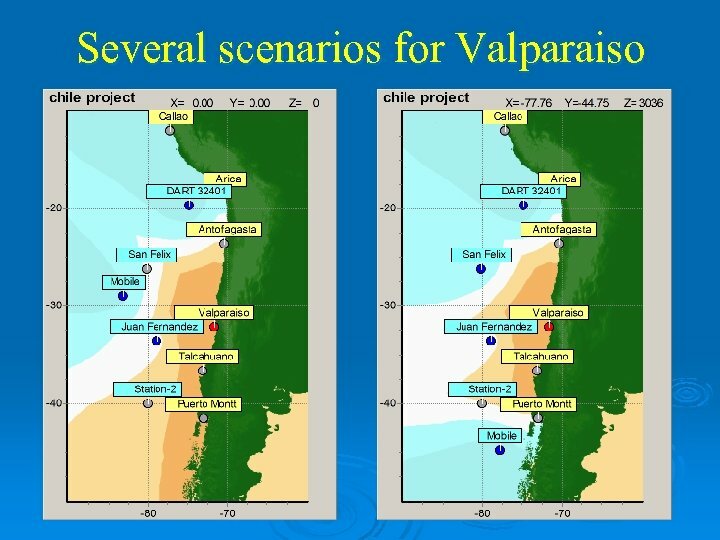 Distant waves, excluding those that came from the south, would be recorded 2 -4 hours prior to the arrival of the waves. 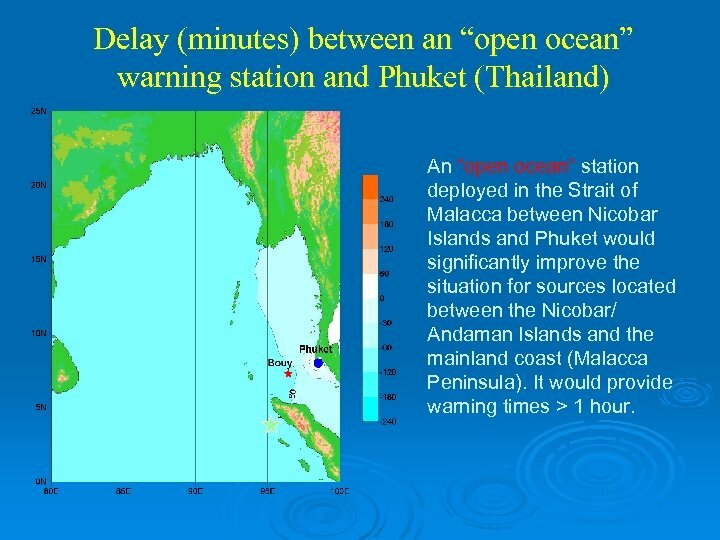 Delay (minutes) between an “open ocean” warning station and Phuket (Thailand) An “open ocean” station deployed in the Strait of Malacca between Nicobar Islands and Phuket would significantly improve the situation for sources located between the Nicobar/ Andaman Islands and the mainland coast (Malacca Peninsula). 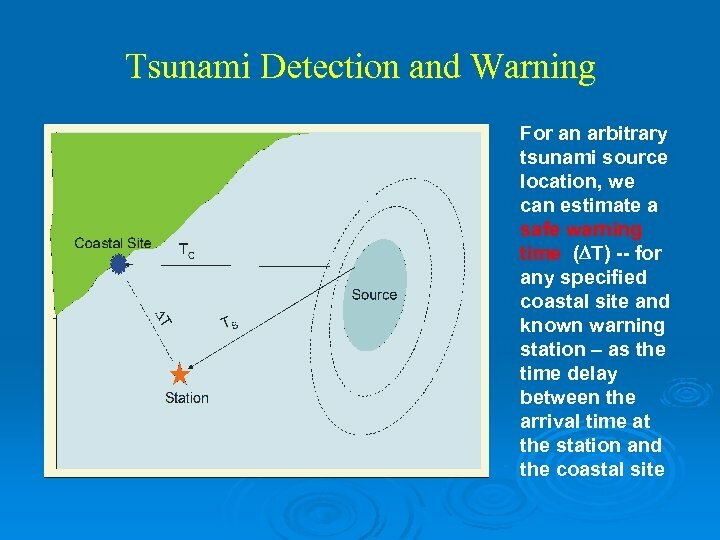 It would provide warning times > 1 hour.